Would you believe that for the first time in a long time I'm actually able to play along with some of my favorite challenges again. This past year has been full of recovery from cancer surgery and a major move that took me from Iowa to Nevada. And, that's not counting all the little things in between. It feels good to be back to doing what I love best making cards and playing along with the challenges. For this card, I combined a couple of challenges. The sketch is from Sunday Stamps and the colors are from CAS Colours & Sketches. And, I got to play with my new Delicate Primrose stamp set from Altenew. The colors I've used are from the CAS Colours & Sketches Challenge. For all the challenge details and to share your project, click the image below. 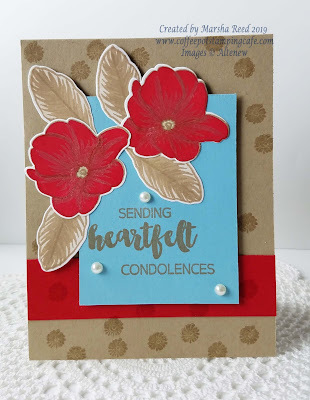 The sketch I've used is from the Sunday Stamps Challenge. For all the challenge details and to share your project, click the image below. Wow, the colors are super vibrant. Beautiful! Thank you for joining Sunday Stamps this week. I was just thinking I hadn't seen you in a while. Congratulations on your recovery and getting back to stamping again!! Thanks, Heidi! It's good to be back. I've missed participating in the challenge. Beautiful - love these flowers! And these colors are amazing together - gorgeous! Thanks so much for playing at Sunday Stamps! Thanks, Heather! It turned out much better than I expected. Lovely take on the color challenge, it's great to see you play along with us at CC&S. Marsha - so glad that you're back in your craft room. This card is lovely. You did a great job combining challenges. Thank you for joining us this week at CC&S! If your order totals $150 or more, DO NOt use the host code. You'll want to choose your own host gifts. Please email me, if you have any questions. Yes, It's a Birthday Card! 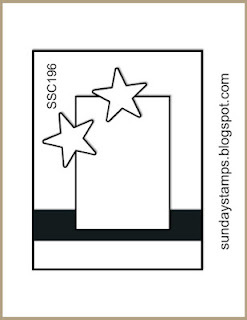 Coffee Pot Stamping Cafe is a personal blog owned by Marsha J Reed. I do not make use of any personal information shared in any comments or any third-party applications such as email subscription services. By commenting, you are giving consent for your name and comment being visible to all who visit my blog. My blog contains links to other websites. If you decide to click on one of these links, you will be directed to that website. These sites may place their own cookies or otherwise collect data from you. Please be aware of the privacy policies or statements of the other websites you visit. "This is the personal blog of Marsha J Reed and I am solely responsible for its content. All content, including text, photos and designs, are © Marsha J Reed. My original art work is shared for personal inspiration only and may not be copied for contest submission or publication nor used for personal gain."